I’m back with 2016’s third makeup-only Halloween costume and this time we’re channeling Mortal Kombat’s Kitana. I have actually wanted to dress up as Jade for years but have never gotten around to it. The makeup portion for Jade would be very similar to this except you’d paint your face green instead of blue. I ended up deciding to do Kitana instead because I’m always hanging out with hand fans so it made more sense. Fans are also really cheap and easy to get. You can buy two fans at your local dollar store and dress up as Kitana for under $5. I’ve mentioned this during previous years but I need to say it again. I apologize if the picture quality of my Halloween looks isn’t up to par with my regular posts. Halloween makeup usually takes a long time and I tend to be done with it by nighttime. I rely on natural lighting for my regular pictures so my Halloween photos are usually taken on my way out under a yellowy tungsten lightbulb (gross!) The pictures turn out grainy and dark as a result. I’m sorry! Obligatory Snapchat selfies. A 2016 Halloween tradition. I created all of this using face paint and fake blood. Although it’s also easily achievable using eyeliners and regular makeup. 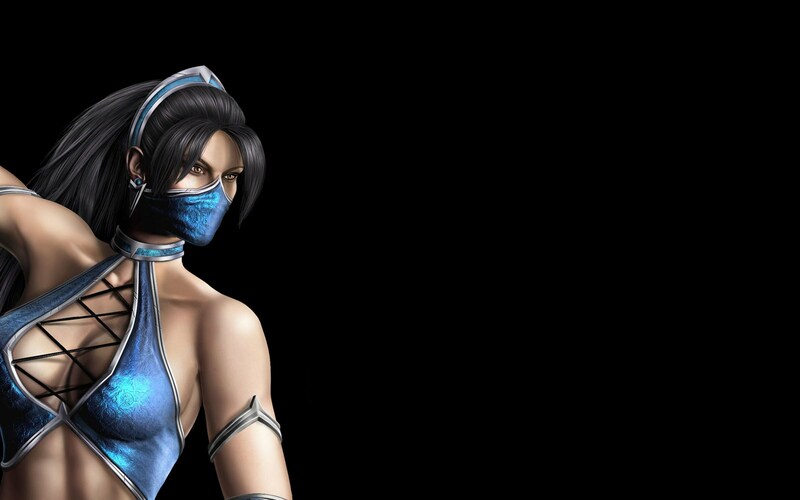 You could also easily dress up as other mask-wearing Mortal Kombat characters such as Mileena, Sub-Zero and Scorpion. What will you be dressing up as this weekend? Have a safe and fun Halloween! This is looking so cool !